Captain James grew up fishing and hunting in Texas with his dad and brother. He moved to Alaska in 1981 where he began fishing the Kenai Peninsula both in the rivers and the salt water. In 1995 James and Patti purchased their first salt water vessel and within a few years were running a very busy charter business out of Seward Alaska. James and Patti also owned an X-ray sales and service business in Anchorage. James and Patti found the Port Lions Lodge was for sale when they were there looking at the Armstrong Catamaran "Lara Beth" and within about six months they sold their X-ray business and their Seward Charter business and were the new owners of Port Lions Lodge. 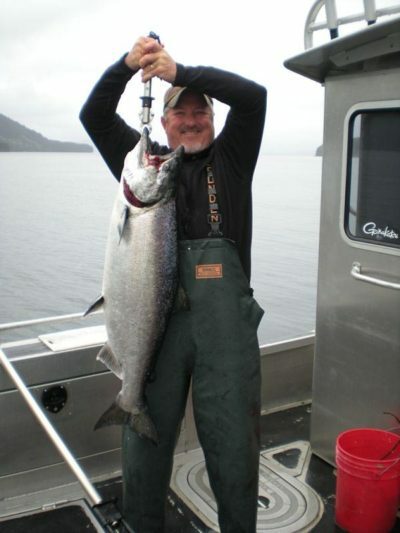 James holds a US Coast Guard Master of 100 Tons license, serves on the Alaska Charter Association Board of Directors, and spends his non fishing and hunting time fighting the allocation battle for halibut. James is also a transporter licensed under the Alaska Big Game Board as well as an Assistant Hunting Guide.